I picked up Tomb Raider on Monday last week and I’ve been playing it pretty much nonstop and have managed to get the game’s storyline wrapped up mostly on Normal Difficulty, but there were a few places that I struggled with and had to lower the difficulty to Easy. Overall, as my first experience with the kickass Lara Croft I now consider myself a fan of the character – even if I did at first pick this game up only so I could be ready for Gail Simone’s tie-in comic coming in February from Dark Horse Comics. I ended up really loving it as well – it’s actually the first game that I’ve played with a female protagonist and I couldn’t stop playing it. Lara’s a well rounded and awesome character and the storyline is mostly a success as well, with several awesome set-pieces. The flashbacks in Arrow are frequently the best part of the CW’s hit superhero series and Tomb Raider is basically a giant big flashback, rebooting the continuity and telling the origin story of everybody’s favourite female archaeologist (aside from maybe River Song). When we first meet Lara she’s still young, naive and inexperienced. The opening chunk of gameplay leading up to her first kill is handled very well indeed delivering some great emotional impact, from the moment that the ship that Lara and company are on is wrecked to the moment that she kills. The first hour is mainly set pieces and multiple incidents of repeatedly button-smashing-and-hoping-for-the-best moves but it’s all leading up to something big once you are capable of exploring the Island proper. This is made all the more convincing by the strong performance of Camilla Luddington, showcasing a Lara that’s out of her depth and clearly struggling with what she’s thrust herself into. Her character is so well fleshed out and developed however that the supporting cast feels like two dimensional in comparison – Reyes, Dr. Whitman, Roth, Grim, Sam etc all being defined throughout the story in a few simple words – Reyes is the one who is at odds with Lara, Dr. Whitman is the eccentric fame-seeking explorer and Sam is the damsel in distress, with both Roth and Grim taking over roles of being to Lara what Obi-Wan Kenobi was to Luke Skywalker, and Dumbledore to Harry Potter. However, you don’t really attach to these characters as much as you do to Lara – but thankfully, that doesn’t rob the plot of its impact, with its awesome ability to switch from survival epic to more action than you’d find in your average summer blockbuster within seconds. The narrative is mostly a solid success but there is one point worth bringing up. The build-up to Lara’s first kill is handled exceptionally well and one of the highlights of the entire game – but following that, she pretty much descends into your standard action hero and can shoot and kill multiple times with little pause. When you see Lara go from being horrified over a kill to have gone through multiple men with arrows – this leads to a break in the narrative. It’s one of the main problems that I had with Tomb Raider as a whole but aside from that – the rest of the game pretty much hits every angle spot on. I don’t have Xbox Live so I can’t comment on the multiplayer aspect – however from what I’ve seen this is one of those games that like Assassin’s Creed, it doesn’t really need it. The open world adventure of Tomb Raider is amazing. As Lara, you get to explore the entirety of the Island that the character is based on and whilst I made a mistake in just doing the campaign and not going back to explore previous areas It’s certainly something that I see myself doing in the future to try and get my completion score up from 61% to 100, because I’m certainly going to be interested in playing as Lara again even though the main storyline is over and done with. There’s a whole wealth of side missions off the beaten track including plenty of side missions with various rewards. I did a few of them – and even found a few of them but failed to beat them, so it’s certainly something that I can see myself revisiting over the coming weeks in an attempt to get 100% completion. The overall gameplay of Tomb Raider is pretty solid. There are a few moments where it’s hard to distinguish between the cut scenes and the actual action – more than once I died because I still thought I was in a cut scene and not in the actual gameplay. However – the combat is done pretty well with a variety of weapons to choose from. You don’t start with everything on the weapons loadout – indeed, it’s a while before you even pick up your first pistol – but once you unlock everything the game becomes pretty awesome to play as indeed. The gameplay feels like a blend of Assassin’s Creed and Batman: Arkham Asylum/City with a bit of Gears of War thrown in for good measure – and all of these three franchises I enjoyed so it was with no surprise that I found myself fully invested in the game. There are moments where it veers too close to Call of Duty for my liking however – with several press “Y” not to die moments found inside. That’s a small element of the gameplay that I wasn’t a big fan of, but the overall narrative and the many other awesome action and set pieces was more than enough to justify the price that I paid for the game. The soundtrack is something that this game has in its favour as well. Most modern game soundtracks rely on what’s happening on screen, but Tomb Raider has taken particularly good care of its music department with some great new additions. There’s loud music for action sequences and quieter music for stealth. So far, so average right? Well, for good measure, why not have the music switch depending on what tone/genre the storyline is in at the moment? Why not have the music switch depending on the change of the environment? Jason Graves does a great job with this so of course it’s worth noting in the main review. Whilst I can’t speak for diehard fans of Lara Croft, I can certainly say that I thoroughly enjoyed this adventure for the character. 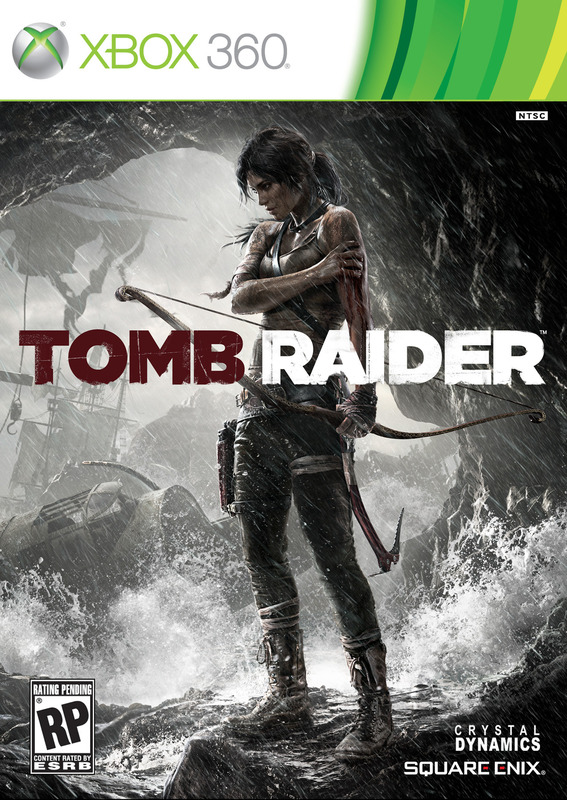 It seems like Batman and DC Comics before it, Tomb Raider continues to follow the dark and gritty take on the character’s origin story that’s newcomer friendly serving as a hybrid of several gaming types. There’s 3rd person with a linear narrative – but we also get plenty of flashbacks, as well as an open world to boot – allowing the user to explore scenes like I’ve already mentioned above. Whilst some may not like the main storyline switching from a survivalist take to a fantasy epic – which did bug me a bit, by and large, the game remains a positive success that certainly has me on board for any future Tomb Raider games – and Gail Simone’s new comics series from Dark Horse Comics may have just become one of my most anticipated titles for next year. Highly recommended. Out of the three games that have come from 2013 that I’ve had the chance to play – Grand Theft Auto V and Injustice: Gods Among Us, Tomb Raider is very good. I’m still not sure whether it beats GTAV or not but it’s certainly one of my favourite games that I’ve played in a while. Hi! Will you update your blog sooner or later?